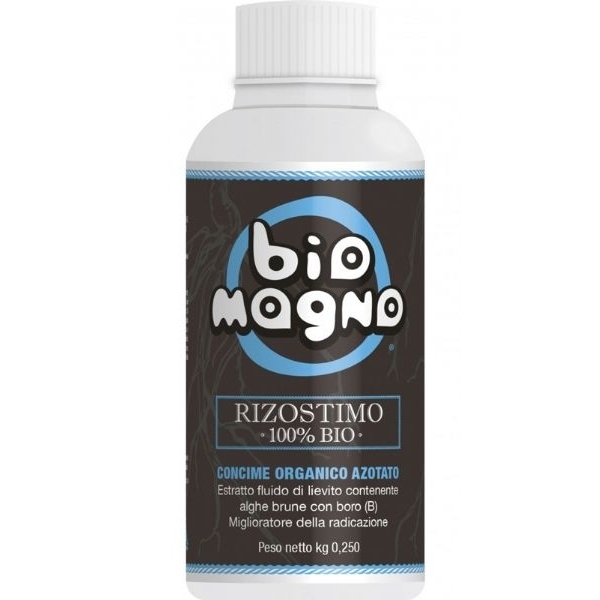 BioMagno Rizostimo 100% Organic is an organic and fluid root stimulator of a completely natural origin, containing marine brown algae and yeast extracts. It increases the root mass, the branching and the leaf system. Thanks to the presence of a high amount of natural auxins, of amino acids of vegetal origin, carbon, betaines, microelements and group B vitamins, the product is able to perform multiple actions on vegetal organisms on which it is administered.